Looks like the 2018 Nokia 6 might be getting a release date sooner rather than later. 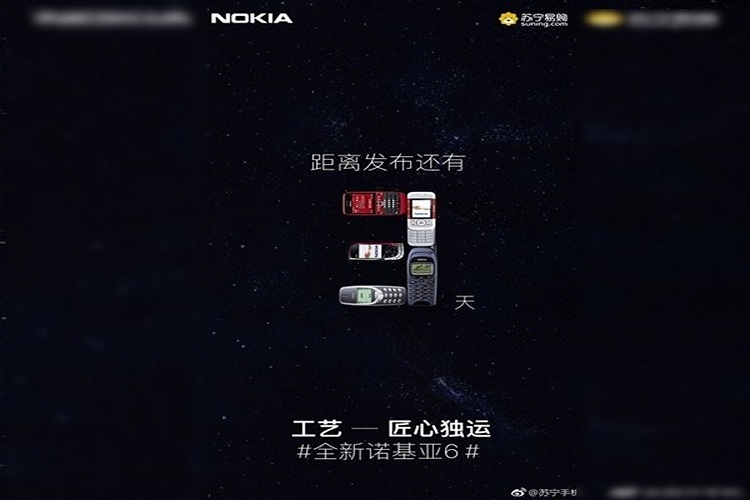 Chinese retailer Suning recently posted a teaser on microblogging site, Weibo, about a Nokia device that is believed to be the successor to the first-gen Nokia 6 smartphone. As seen in the image below, the teaser for what is believed to be the Nokia 6 (2018) is designed using images old Nokia phones that are positioned to form the number 3. 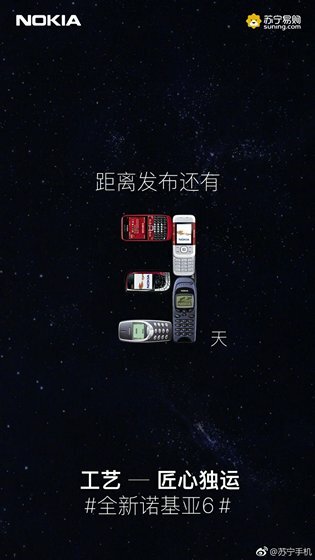 The text reportedly reads “3 days” and “new Nokia 6 with unique craftsmanship”. While there’s no clarification about the rumored device from HMD at the moment, a recent Geekbench listing, believed to be of this very device, seems to suggest that the launch may not be too far away. 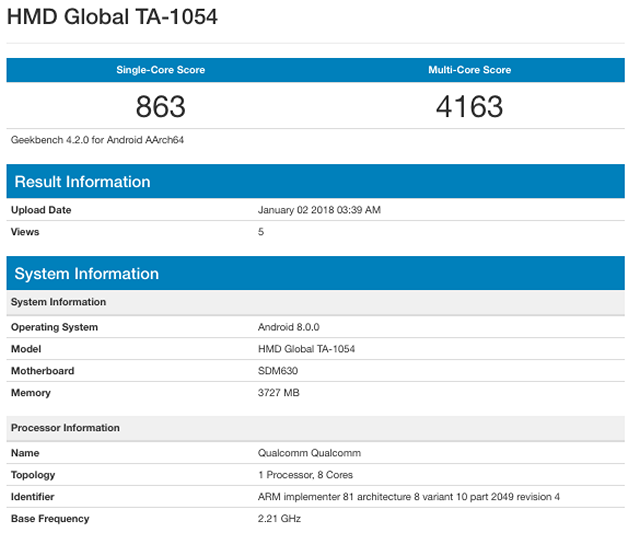 The listing mentions a device provisionally named “HMD Global TA-1054” that’s expected to be eventually launched as the Nokia 6 (2018), scored 863 in a single core test and 4163 in a multi-core test. The Geekbench listing also seems to reveal a few of the key hardware specifications of the upcoming device, all of which seem to match with what we already knew about the device when it was spotted on TENAA last week. Two different model numbers – TA-1034 (Model 1) and TA-1054 (Model 2) – were certified by TENAA this month. While the former has been confirmed to bear an 18:9 display, the latter will come with a standard 16:9 screen. It is not yet clear, which of these will be launched first by HMD Global. As far as specifications go, the two variants only differ in terms of aspect ratio. The one with the 18:9 display is expected to be smaller in size compared to the last year’s Nokia 6 in order to bump up the screen-to-body ratio by nearly 2.5%. Another noticeable change is that the fingerprint has been relocated to the back of the smartphone for the 2018 edition, based on the images seen so far.